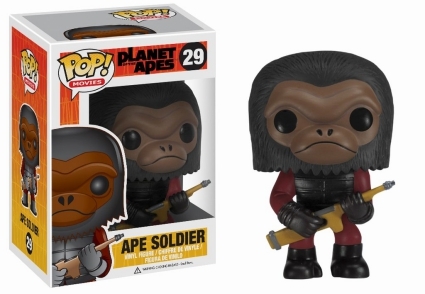 The Funko Pop Planet of the Apes release offers several notable characters from the classic film with the standard Pop! flair. Planet of the Apes landed in theaters in 1968, giving audience members a glimpse of a future where primates rule the planet. Part of the Pop! 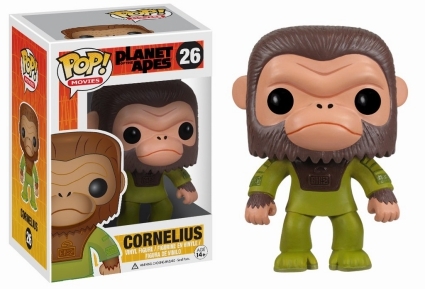 Movies line, Funko Pop Planet of the Apes features the chimpanzee doctor Cornelius dressed in green attire. 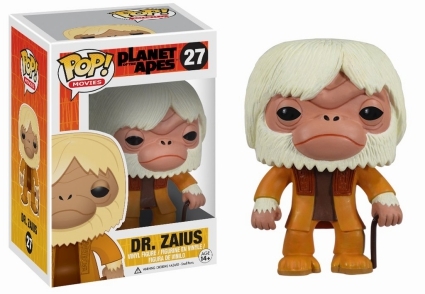 With platinum-blond hair covering most of his forehead, the nefarious Dr. Zaius stands slightly hunched with a cane. 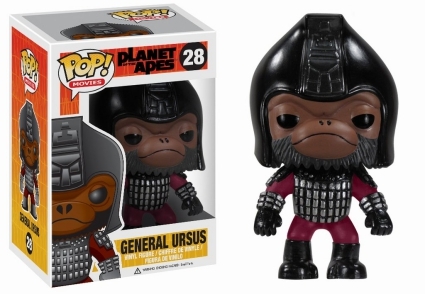 Additionally, General Ursus comes in full body armor and an Ape Soldier is shown brandishing a firearm. 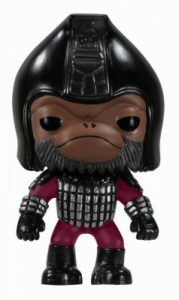 Shop for Funko Planet of the Apes Figures on Amazon. 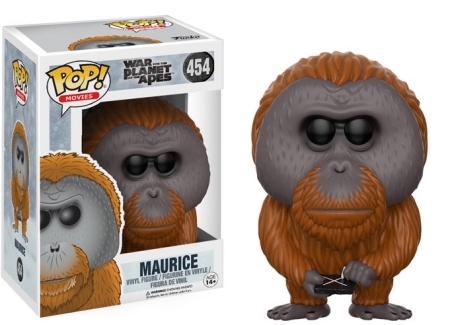 Moving to the franchise reboot, War for the Planet of the Apes subjects include Caesar and Maurice. In true Pop! 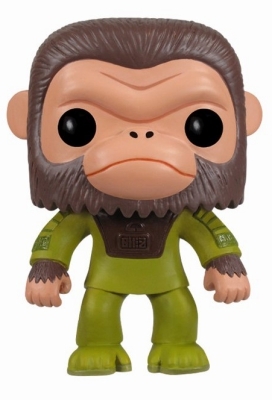 fashion, most of the Funko Pop Planet of the Apes figures look to stand just under 4" tall. Appearing slightly larger, General Ursus gets a boost from his battle helmet. 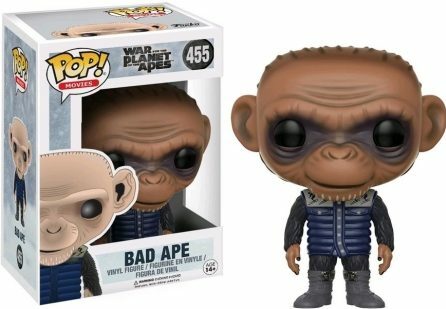 For those fans who want to collect all things Planet of the Apes, Topps issued trading card sets for the 1969 film while the 1975 set documents the television series. Card collectors can also check out 1999 Inkworks Planet of the Apes Archives as it covers the original films and includes actor autographs. 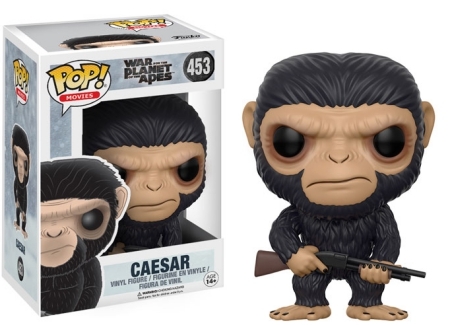 Planet of the Apes Lawgiver Statue Limited Figure And 4K War For The POTA.